This weekend I was in strong need of some nature, so I decided to do one of my favorite activities – forest bathing (Jap: shinrin-yoku). 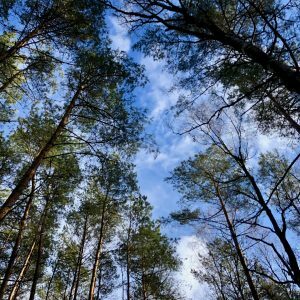 Forest bathing is Japanese tradition of taking in the forest atmosphere with all senses – simply being-in and connecting with nature. This is supposed to have positive effects on psychological state and overall well-being. I can say, it definitely works for me. 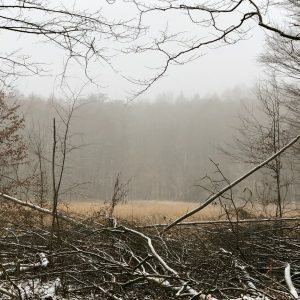 I used this chance to visit the nature park Barnim, just north of Berlin – one of the biggest forest areas near the German capital. The park is easily accessible via S-Bahn station Borgsdorf. 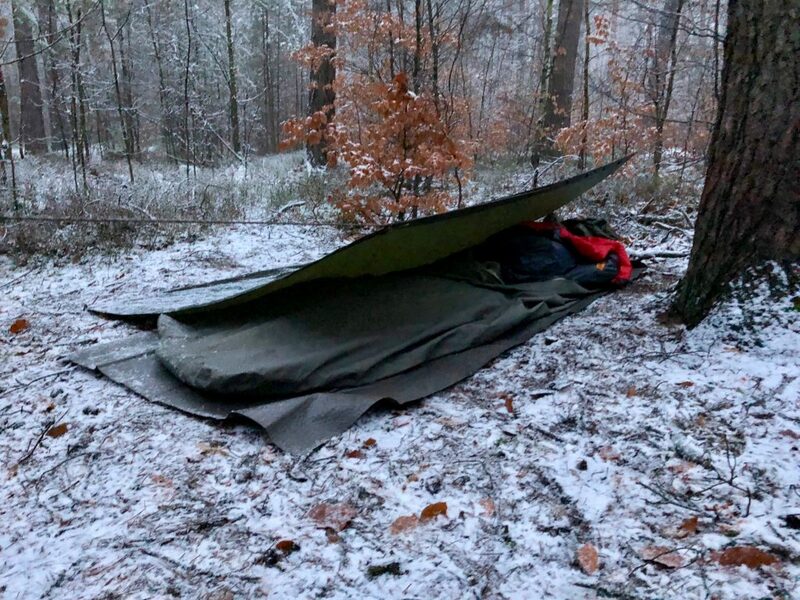 I brought my winter camping kit to have the possibility for a warm picnic and nice nap. Which was a good choice as it started snowing quite heavily. 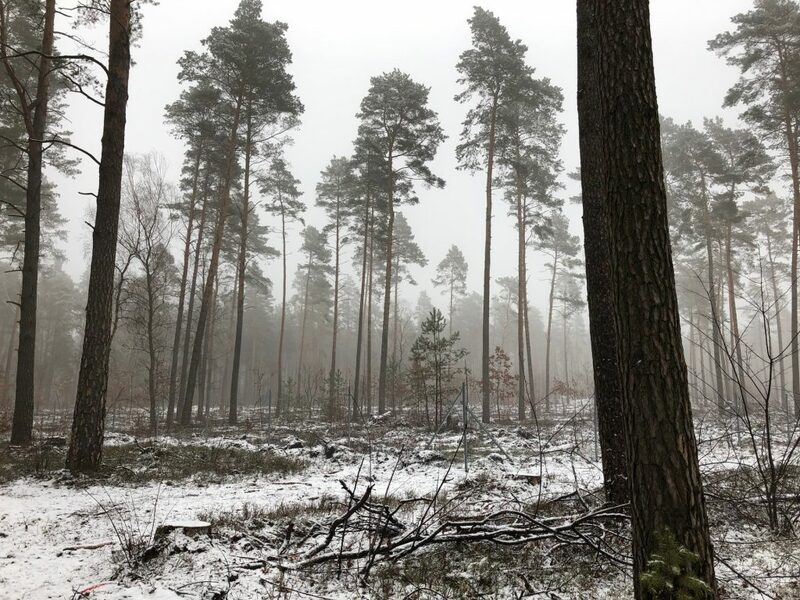 Nature park Barnim welcomed me with lush snowy pine forests. I met no other people the whole hike. Winter hiking around here seems to be a rather unpopular activity. Winter camp setup. 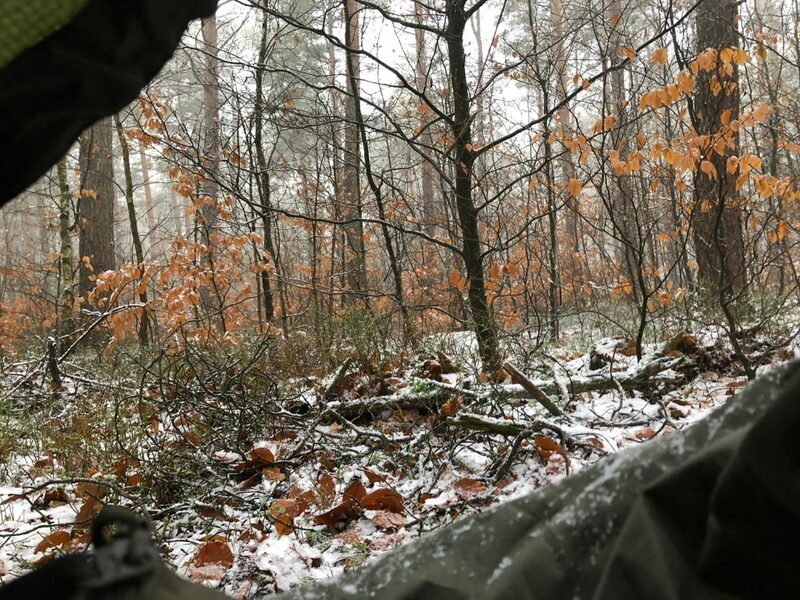 Warm and sheltered. 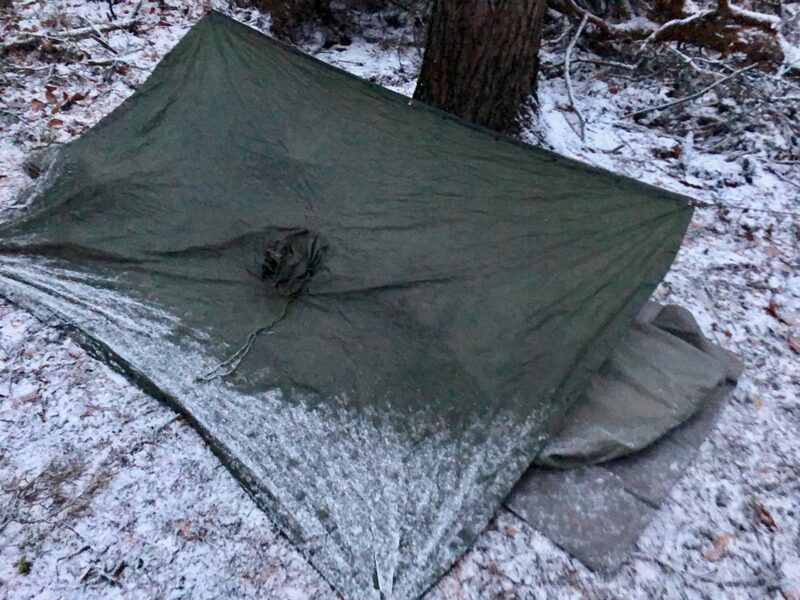 Using a poncho as a mini tarp. View from inside. Had the pleasure of a woodpecker joining me for a longer while giving me some company. It got so comfortable indeed, that I forgot time and had to hike back through the pitch black forest. Nice adventurous end of a great trip. 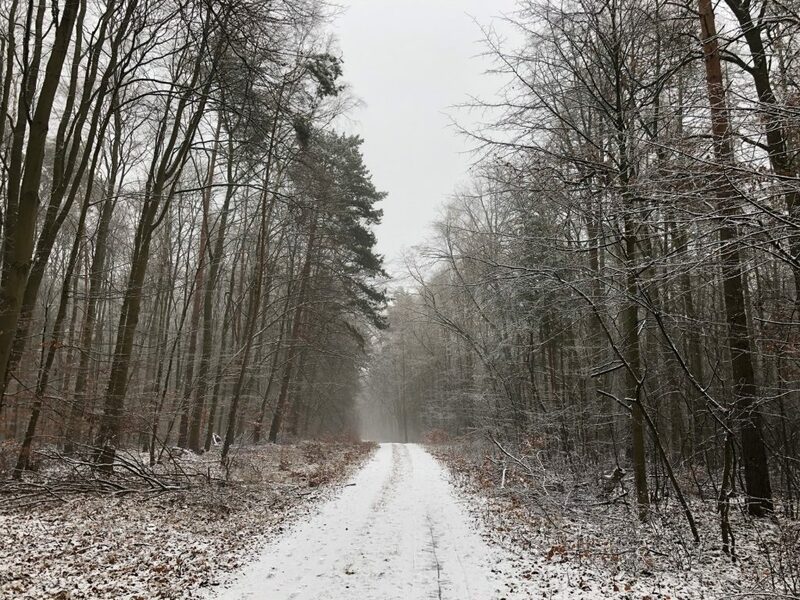 Check out the nature park Barnim website for more infos. Take the S1 from Gesundbrunnen to Borgsdorf S-Bahn station.